Please note the field is not at the store address! It is located at the Horn Rapids Motor Sports Complex on the RH side off the 240 West to Vantage HWY. 4.75 Miles from the 240 Bypass. Look for the orange link on the left margins to click to the directions page. 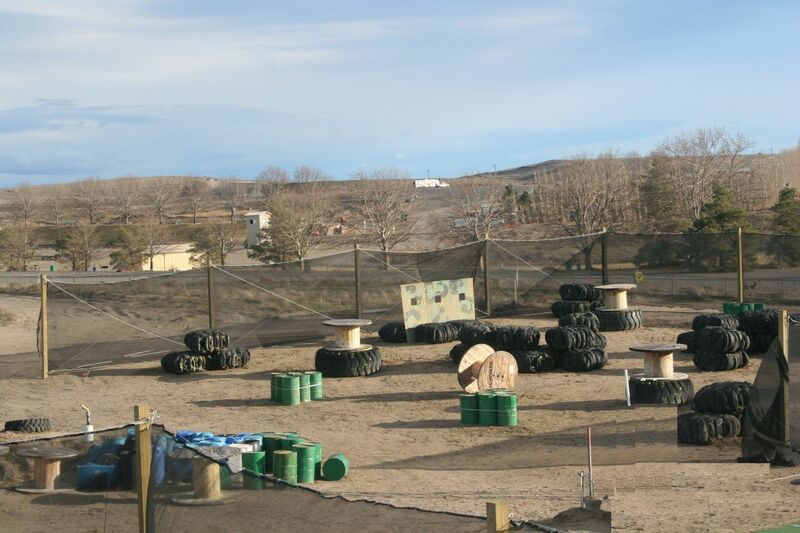 Red Dot Paintball Offers A Place For Groups To Play And For Individuals To Meet Others To Play With. With 4 fields and one laser field, there are limitless games you could play. Our fields are great for all skill levels. Playing the field never gets boring, because there are so many variations. 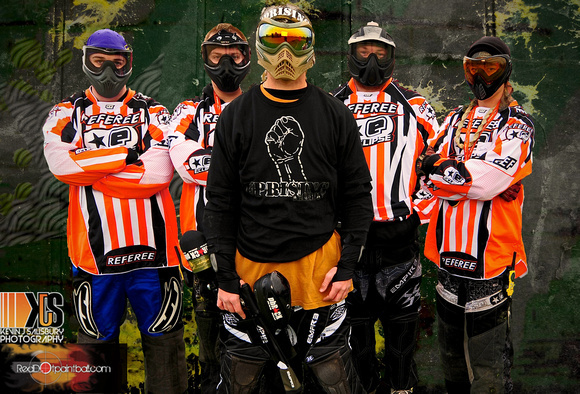 Red Dot Paintball is the central paintball location in the Tri-Cities area so you can be sure you’ll find new team mates or players by showing up. Whether you are looking to find people of the same skill level or advanced players to learn from, we’ll help match you up with people when you get here. If you want to host a party, group or special event we have everything you need. Click here for more details now. Prefer to ask us questions, give us a call or drop in to our West Richland store and we'll help you plan the perfect event. Supplies are always available so you can come check us out even if you don’t have your own equipment (yet). The field is an artificial turf field, 120 x 180. 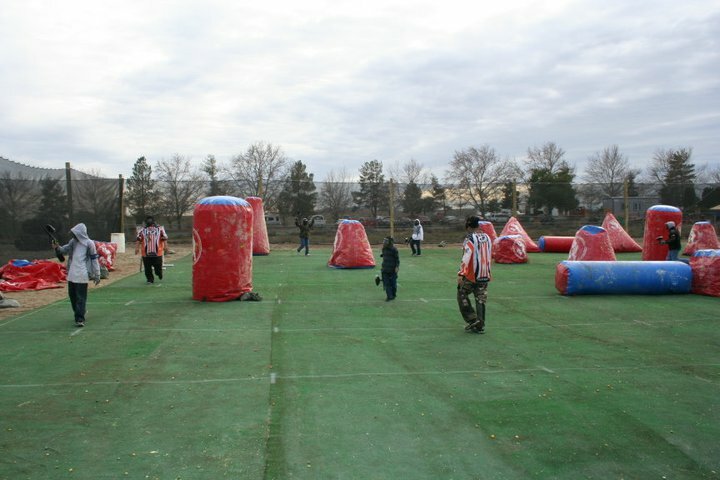 There are 43 acres, 5 fields + 1 Laser Tag with plenty of room for expansion. Laser (paintless) is also available. Day and overnight camping is available. For avid players, check out our membership. Save money and play more often. For any questions, please call us at 509-967-3030. We welcome all questions and are happy to share our advice, experience and expertise so you get the most out of your paintball experience. With our day camping, you have the ability to set up a little grill and prepare your own food. (saves you money and you get the camping experience. Use our picnic tables or bring your own chairs and pop ups. 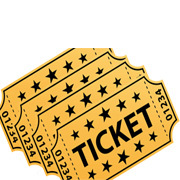 Make it an overnight event and bring your RV, trailer or tents. If you are an old pro, just bring the waiver form and your gear and come on over. If you are new to paintball, give us a call. We'll help you plan the day so you enjoy every minute. Players of all skill levels and ages play here - this field is for everyone. Don't worry what level you or your kids are at - come out and have some fun. Our referees, coordinators, check-in staff and field manager are there to provide you the safest and fun experience you can have. Let our staff find you games at your skill level or new friends to paintball with. If you want an alternative for younger children, check out our new laser (paintless) page. Its a great way for kids to experience the game without the Moms and Dads worrying! Want to host a party or event? Click Here. Want to buy new equipment? Check out the latest gear? Talk to an expert? Click here for our West Richland store.